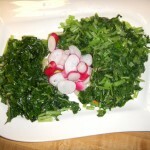 Dark green leafy vegetables are probably the most concentrated source of nutrition of any food. They are a rich source of minerals (including iron, calcium, potassium, and magnesium) and vitamins, including vitamins K, C, E, and many of the B vitamins. Vitamin K is a fat-soluble vitamin, so cook your greens with oil. Grow your own organic vegetables all year with the help of a quality greenhouse. The greenhouse is an enclosed structure that allows the gardener to grow crops in a controlled environment. This means that the right nutrients and proper sunlight are provided all year round without having to worry about pests or cold weather. One technique that has proven very effective when using greenhouses is hydroponics. This is done by using nutrient-enriched water instead of soil to grow the crops. 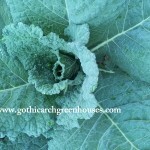 This entry was posted in Organic Gardening on November 12, 2012 by admin.